Want to see Jim Groom and Maha Bali meet in person? This is happening at the AMICAL conference in Rome, Italy in just under a week. 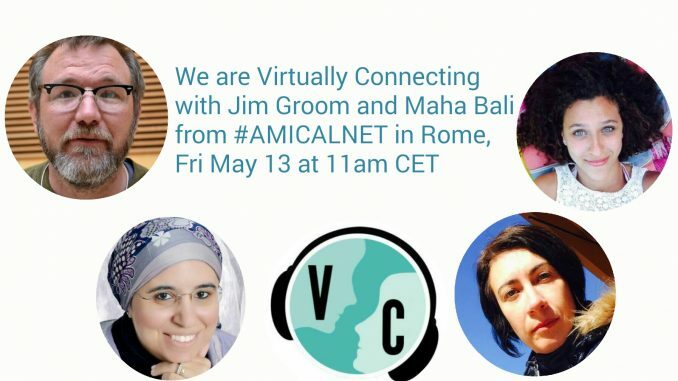 If you aren’t able to make it to Rome for AMICAL 2016 (#amicalnet), we’ll be Virtually Connecting on Friday, May 13th at 11:00 am (CET/UTC+1:00) with Jim Groom and Maha Bali between Jim’s keynote (livestreamed here) and Jim & Maha’s session together (livestreamed here). 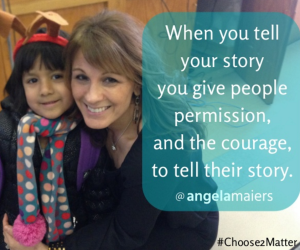 Both of these talks highlight crucial aspects of ed tech, so make sure not to miss them! If you are a new or old friend onsite at #amicalnet feel free to drop by our VC session and join the conversation. Onsite Buddy, Nadine Aboulmagd will give us a better sense of what is happening in the conference halls and connect us with onsite guests Jim Groom and Maha Bali. Virtual Buddy Sundi Richard will be helping to connect virtually. Some of the best VConnecting sessions are when virtual participants are able to participate or view in other ways than just VConnecting. Most AMICAL 2016 sessions are available via livestream publicly. You can also go ahead and follow some of the conversation on Twitter with the #amicalnet hashtag. There is often more conversation during the keynotes or particularly engaging sessions. The session time is preliminary for now and because of the spontaneous nature of Virtually Connecting, the session can run a few minutes early or a few minutes late. Friday, May 13th 11:00 (CET/UTC+1:00) – Sundi Richard will virtually connect with virtual participants and onsite buddy Nadine Aboulmagd will bring Jim Groom and Maha Bali to the hangout.